Tyson Rininger’s name is synonymous with incredible aviation imagery. For over 20 years his work has been seen on the cover of magazines, the pages of aerospace books and above the dates on showcase calendars. His affair with aviation doesn’t stop at the viewfinder, loving all things air show related, Tyson was even a wing walker with the American Barnstormers. 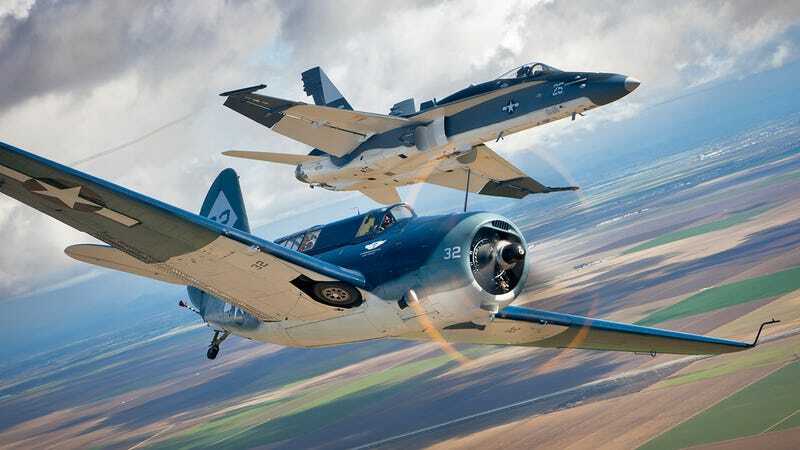 He began his aviation photography career as a teenager, specifically at the 1989 NAS Point Mugu Air show, and spent the next decade and a half building his portfolio and working alongside some of the best photographers in the business. “My passion is to showcase and document history by creating an image that conveys an emotion or nostalgia. Some of my favorite photoshoots center around historical events such as the 25th Anniversary of the F-117 in service, Warbirds with appropriate backgrounds and properly attired crew along with formations with like-units and paint schemes. I also enjoy bringing the casual viewer into the amazing world of aviation through the use of clouds and recognizable scenery. When it comes to history, I have had the honor of capturing an image that would become the icon of the 100th Anniversary of Naval Aviation and became the first and only civilian photographer to provide the USN Blue Angels with their annual lithograph. I’ve also had the amazing privilege of flying alongside aircraft from all eras including futuristic unmanned fighters to fresh WWII era restorations. I’ve had a lot of fun with various challenges over the years in an attempt to make photography exciting. For more than 10 years, I’ve been creating unique nighttime shots using a basic, but very effective lighting technique. My Reminisce project was to take existing color images from 1950’s aircraft and older, and make them Black & White using traditional methods through digital technology. In other words, I didn’t take the simple path of clicking a color desaturate button, but rather I made use of dodging and burning tools as well as various contrast filters in Photoshop to create that perfect B&W image. After nearly two years of image conversions, the Reminisce Book was born. My latest creation has been the Grunge Series of canvas prints as an effort to provide customers with an aviation-themed image minus the specificity of a photograph. Rininger, who lives in Monterey, California, continues to ply his trade around the globe in support of major publications and the aircraft industry. Air & Space Smithsonian, Aviation Week & Space Technology, Combat Aircraft, PrivateAir, PilotMag are just some of the usual places you can see his images showcased, along with various ads and promotional materials. When he’s not snapping pictures of the world’s most amazing flying machines, he is taking shots of the planet’s most amazing underwater creatures as a contract photographer for the world famous Monterrey Bay Aquarium. Make sure to check out Tyson’s site here where you can find more awesome images and behind the scenes commentary on how he captured some of these crazy aviation images. Also make sure to like his Facebook page, your eyes will thank you!